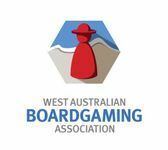 The West Australian Boardgaming Association Inc. The West Australian Boardgaming Association Inc. is a not-for-profit collective of gamers who promote board games and card games through a range of public events in Western Australia. We are an incorporated association (committee details). The promotion of boardgames in the West Australian community. The provision of regular game playing events at community venues. This is our Guild, where we discuss upcoming events, how to improve our meetings and how to promote boardgaming in Western Australia. WABA maintains a collection of games that have been donated or purchased. These games are not available for loan but can be played at any WABA event. Not all games in the WABA Collection are at all events due to space restrictions. If you wish to play a specific game at a WABA event, please let us know as early as possible so that we can try arrange for it to be at that event. At both the WABA Mt Claremont and WABA Thornlie meets, there is also a WABA Starter Tubs of Games. Each tub has 11 games which serve as a collection of games that can introduce new and existing gamers to a range of game mechanisms (the way games play). Application for membership is open to anyone resident in WA. To become a member, just ask for an application form at one of our meets. Free entry into our major Decembacon event for Mt Claremont's last meet of the year. WABA's main event is our Mt. Claremont gathering. We meet on the second Saturday of each month to play boardgames in Perth, Western Australia. We play all kinds of games, but tend toward modern hobby games. You can see a list of all the games we have played so far. Cost will be $5.00 but entry is free if this is your first WABA event (members get a free entry in the door prize draw). You can see all the door prizes and winners here. Other dates for 2019 - 8 June, 13 July, 10 August, 14 September, 12 October, 9 November, 14 December (D-Con 2019). Please see the WABA Mt Claremont Location Map. From the east, catch the 27 that leaves East Perth at 10:15, or the 28 that leaves East Perth at 10:00 and passes Perth Station at around 10:08. From the west, catch the 27 that leaves Claremont Station at 10:30. You may wish to consult the full timetables: from Perth to Claremont; from Claremont to Perth; full timetable (Western 33). We meet south of the river in Thornlie on the fourth Saturday of the month. We play all kinds of games, but tend toward modern hobby games, with much longer games often featuring at Thornlie. Cost is $5.00 but entry is free if this is your first WABA event. You can see all the door prizes and winners here. Food vendors are a five minute walk away and there is water and soft drinks for sale at the venue (proceeds to WABA). There is also a fridge and a microwave you can use if you want to. Other dates for 2019 - 25 May, 22 June, 27 July, 24 August, 28 September, 26 October, 23 November. Use Games for Sale/Trade to see what members have available for sale and/or trade. Feel free to add items to the list (and remove them when no longer available). Be aware however that this is not an invitation to sell new games at meets – for more discussion see Selling Games at WABA. Use the new WABA Kickstarter List or the old Kickstarter - the WABA Edition to see kickstarter projects that members are backing, and opportunities to combine shipping on kickstarters. Feel free to add items to the list (and remove them once delivered). Boardgaming Western Australia is the name of a Meetup group, set up to help keep you up to date with boardgaming events in the state. See here for more details. WABA Shirts : How to get yours. Many of our members play boardgames online. See Gaming Online with WABA members to find out more. Instructions on how to set it up in your profile. If you edit the information above, please tell tallboy (listed as the Manager in the main guild info) what you've done. If you're not sure if you should make an edit you want to make, please contact tallboy first.